The Advanced Resources Healthcare team provides human capital solutions to help healthcare organizations solve their most pressing issues and challenges. With fluctuating demographics, legislative changes, technological advancements, and the focus on value-based patient solutions, the healthcare market is constantly changing, which creates uncertainty and the need for high quality talent acquisition solutions. 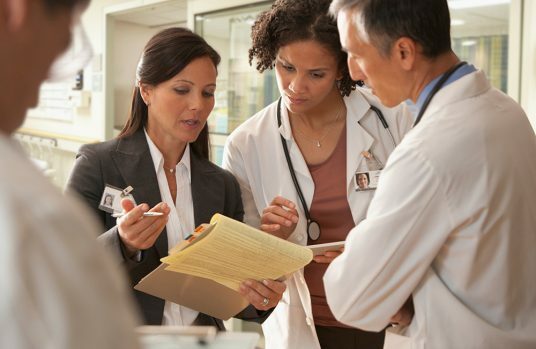 At Advanced Resources, our full-service team of healthcare professionals will help you navigate through these challenges by delivering non-clinical solutions on a project or permanent basis as it relates to Medical Revenue Cycle, Administrative RN’s, and HIM/HIT (including Consultants, Legacy Support, EMR Programmers, Trainers, and Go Live Support). The healthcare market continues to focus on values-based, patient-focused needs and our dedicated healthcare team is here to help you improve your efficiencies on a project or permanent basis. Get in touch with one of our Healthcare specialists today to discuss your challenges. Are you seeking a new career opportunity? Click here to see our open healthcare jobs. Are you seeking Healthcare positions?